Infection: Bacteria and food can become trapped under the gum tissue, resulting in an infection. The infection can cause considerable pain and danger involving potential facial spaces in the face and neck areas. Dr. Khan has been living and practicing oral surgery in Western Pennsylvania since 2000. He is a native of India, and moved to the United States as a teenager. He attended the College of DuPage in Glenn Ellyn, Illinois, receiving an Associate Science Degree and graduating with Honors. He completed a Bachelor of Arts in Biology from Washington University in St. Louis, Missouri. 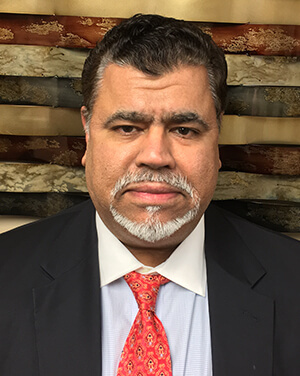 Dr. Khan then moved to New York City to study dentistry at Columbia University, graduating with a Doctor of Dental Surgery (DDS) degree in 1993. He completed a four-year residency program at Lincoln Medical and Mental Hospital in the Bronx in New York City from 1993 to 1997, with intensive training in emergency and trauma cases. Dr. Khan was Chief Resident from 1996 to 1997. Dr. Khan believes in the value medical education provides to the practice of Oral Surgery. He completed a Doctor of Medicine degree from New York Medical College in 2000. Upon completion of his medical degree, Dr. Khan and his wife Afshan and their family moved to the Pittsburgh area, where his wife Afshan grew up and has been a lifelong resident. Dr. Khan has been practicing Oral Surgery in the Western Pennsylvania region for over 11 years.